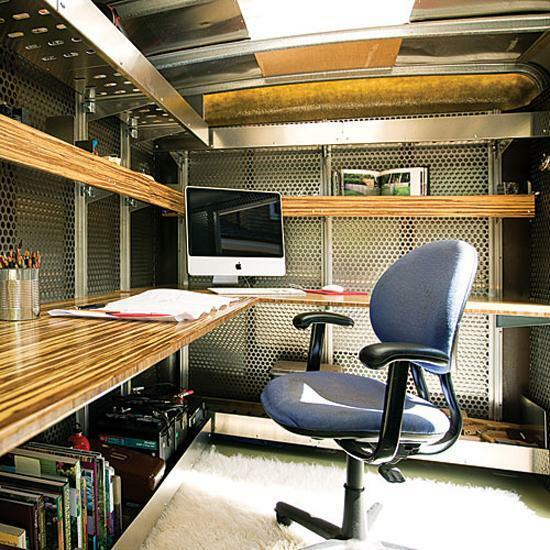 Recycling old trailers for a small house and office on wheels are unique redesign projects by Andreas Stavropoulos. 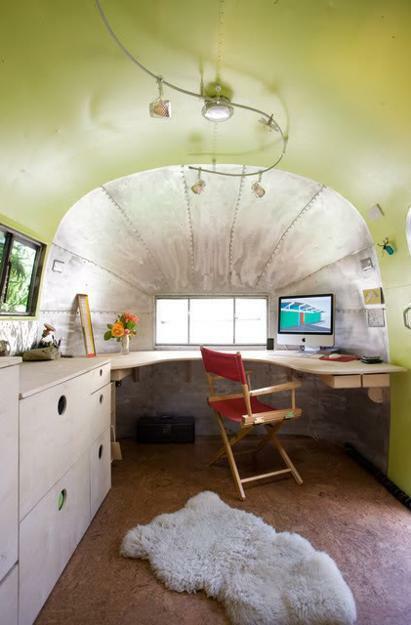 His tiny modern house design and mobile small office demonstrate how amazing talents and skills can reuse and recycle old things and redesign them into something beautiful, useful and comfortable. 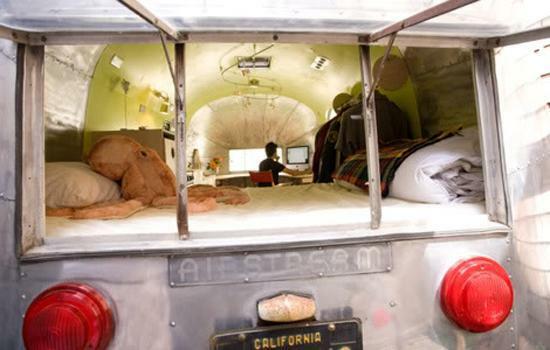 The 1959 Airstream trailer was bought from a collector, retrofitted, and now it is a unique home. Lushome presents this fantastic house design to inspire all who enjoy DIY home improvement and design projects. The Airstream house has a small kitchen, a bed and living area. After breakfast, the Berkeley-based landscape architect does not just drive to an office, he heads to the actual site in his Honda CR-V, towing behind it ​a wheeled small office, called the Think Tank. 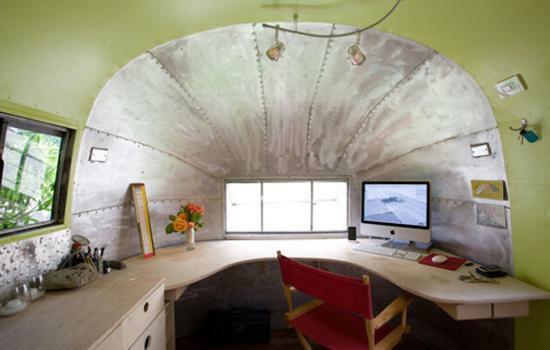 It is a 2003 cherry-red Wells Cargo trailer that he found on Craigslist and redesigned for his mobile office. Once there, he throws open the back door of the trailer and drafts his plans in full view of the garden he designs. Stavropoulos earned his MLA from the University of California, Berkeley, in 2007. He is creative and a back-to-the-land kind of guy. He wants to ground his garden design plans in the realities of the site, and he retrofitted the 6- by 10-foot cargo trailer to help him do that. 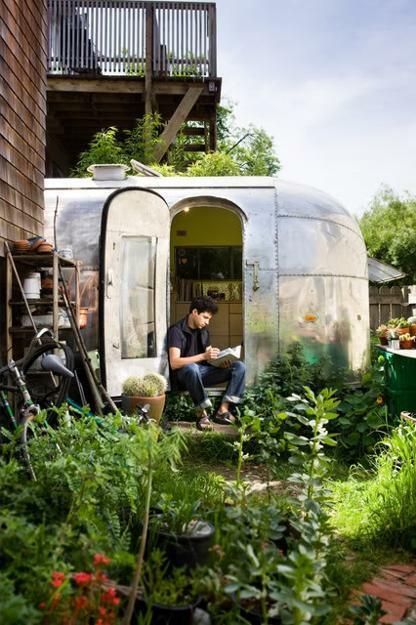 Both the trailer office and the Airstream house, which he painstakingly remodeled using a sculpture studio at Stanford University and woodworking shop in Oakland, are suited for the relaxing and creative lifestyle. Stavropoulos said that he always loved manageable, mobile and small spaces which allow breathing time, cozy and interesting.